Quantifiable, personal data (what I have labeled Small Data) takes the generalization out of life – “I am pretty active…” is proven to not be accurate when you now understand exactly how inactive you are on a day that you sit in meetings from 8 am to 5 pm. Instant and immediate feedback changes behavior. People will play the “game” towards beneficial results (just as they will toward non-beneficial results). Big Data is the buzzword of the day. Conferences are developed around how to harness Big Data. Consulting firms are building units to help companies integrate Big Data into their operation. CEOs talk about Big Data with their board and how it will revolutionize their business. But I have become obsessed with what I am calling Small Data – the impact of being able to track things about myself and my life that I was never able to track. Data at an individual level. Data that was never collected in the past that can change individual behavior. That obsession started with a gift of a Nike FuelBand from my previous colleagues as I was beginning my new role as the CEO of Delta Dental. 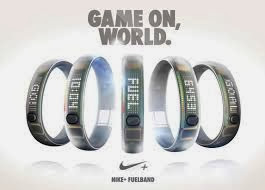 The Nike FuelBand is a wristband that measures how often and how intensively you move. It tracks not only calories burned through activity and steps as some do, but a custom-developed score called “Fuel.” It also has a functional watch. As you wear it, you can see your activity throughout the day with a light band display and over time when synced with the app on your phone. You can custom set your goal of Fuel points. My goal has been 2,000 Fuel points. And I was on 53 day streak of hitting 2,000 points (my streak broke a couple of weeks ago on vacation when I came up a few points short, but that is another story). This is where a goal-oriented, Type A, borderline obsessive-compulsive person discovers the power of real-time feedback regarding activity. Here’s my defining story: I was at the September board meeting of Delta Dental in Mason City, Iowa. It was my first board retreat and our management team has spent considerable effort to make sure we are prepared to outline a strategy in a time of transformational change in the health care and insurance world. We are at the Park Inn, the renovated Frank Lloyd Wright hotel (which by the way is spectacular). After the second of three days of meetings and a board dinner, I find myself a few hundred points short of my goal. I was currently on a 30+ day streak of hitting my goal. After the dinner meeting, I tell Lisa that I *need* to go for a walk. She is kind enough to walk around the park and downtown Mason City until I hit my mark. Granted, our board is meeting at 8 am in the morning for a significant discussion that I am leading on our future strategy. Yet the Fuel point goal MUST BE MET! While you might read that last paragraph and laugh out loud at the ridiculousness of a CEO going for a walk to hit a made up goal, late at night, before an important meeting, think about the broader issue. It had become a goal/game that I cared about (my streak). It was better for me to take that ½ hour walk than just go to bed. Now extrapolate that action to the larger world. One of the largest health issues in the United States is obesity. A particular issue that is gaining needed attention is child obesity. If my children are an indicator of the larger population, they are both digitally wired and love games. The instant feedback loop of points and a goal that needs to be met is important in a digital (and physical) world. Foursquare and others have made successful businesses of around concept. I live professionally in the health care/insurance world, focusing on the dental community. I noticed earlier this year that SonicCare has now made an electronic toothbrush that tracks how long you are brushing your teeth and can download that data to your smartphone. For years the dental community has promoted “2+2” – brush twice per day for two minutes. Sure, I do that…. Really? Let me download that data into an app and show you whether you really do. There are clearly dangers in Small Data. Personal data should remain personal until I allow it to go somewhere. The economic implications of more data can be significant. Data privacy should be an important part of this. But my learning in my small-scale experiment with Small Data is that when I know my progress in a goal that is important to me (my activity level /health), it allows me to make decisions in the moment that reinforce what I want the large scale result to be. That learning has broader implications for each of us and society at large. It will be interesting to see where the world of Small Data takes us. What I have learned is that if we can align the real-time feedback into driving actions that help us achieve our goals, we may have unlocked a powerful tool in improving health and well-being. Now is a great time if you are a sports fan – college football bowl games having just completed (except for this BCS thing that drags on until mid-January) plus the NFL playoffs and the college basketball conference season getting rolling. Over the years, I have had the great pleasure of listening to a number of college coaches from the state of Iowa talk about their teams and their approach to coaching. With each one of them, I ask one question, “What do you do between games to prepare your team for the next game?” It is a question about how a team moves from a win or a loss in its previous game to focus on the challenge ahead. I think it is a question that goes to preparation in any endeavor – sports, business, drama or music. Nick Saban made business journal and blog headlines this past summer after a Sports Illustrated article talked about how Alabama prepared for games (click here for article). This was followed up with a sister publication, CNN Money, adapting this for the business world (click here for article). He is entirely focused on “the Process.” I remember watching an interview when he first took the job where he said, “the process will work here.” It was less about the location or the storied history of Alabama football than it was about his process. The process is so scripted that he eats the same thing for lunch every day so as not to distract him with one extra decision in the day that isn't about moving the team forward. In early November, I had a chance to hear University of Iowa Basketball Coach Fran McCaffrey and his comments reminded me of “the question” I have asked coaches and their answers. I thought I would share some of their wisdom with you. Their comments are paraphrased from my memory and my notes. Coach McCaffrey spent a few minutes talking to the YPO Iowa chapter on the floor of Carver-Hawkeye Arena. To be fair, I will probably remember his graciousness to a family group as much as his Xs and Os (Lisa and our kids were all there, and the kids got to shoot on the practice floor with Coach McCaffrey rebounding). 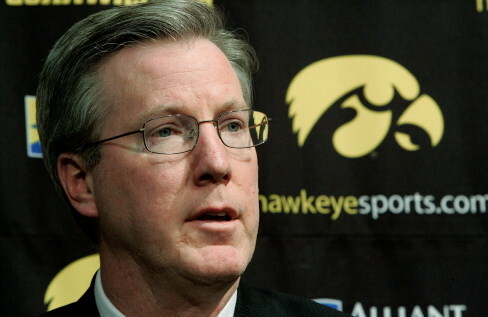 Iowa was in the middle of a five games in nine days stretch, including a tournament in Mexico. As we entered the arena, the team was working on a drill where they were down five points with two minutes remaining. It was a controlled scrimmage, focusing on executing, then teaching, then executing again. As Coach McCaffrey came over to talk with our group, I was amazed at his attention to the details of the game. Spending valuable practice time in specific situations and teaching game-specific tactics will prepare them for the season to come. I am quite confident there will come a time during this season when the work from that practice, plus the countless practices before and since, will make the difference between winning and losing. Another thing struck me in his comments. Iowa had just beaten Central Michigan (coached by former Drake coach Keno Davis – see below). Central Michigan had played a five guard offense to throw off the Hawkeye game plan and had kept the game close with the unusual approach. McCaffrey countered with a four guard offense and a number of players that were expected to play significant minutes sat on the bench. He talked about how he would need to spend time with those players to boost their spirits coming into the next game. Handling players who have been successful in the game, and were most often the star on their high school team, is an underrated skill. Coach McCaffrey knew exactly that those players would be disappointed, but he adapted his tactics for that game and to come out victorious. Learning: Practice must be about learning game-specific situations. Spending time preparing for inevitable scenarios will prepare a team to execute when the pressure is on. Also, adaptability in the face of a surprise game plan is important, but so is the care and feeding of players whose role changed based on the new strategy. Coach Farley's most memorable nugget was that his team's weekly preparation was dependent on their opponent for the coming week. He said that if his UNI team was likely better or more athletic than their opponent, they would work on putting in more new plays and schemes. This would make team focus on what they were doing and not get too complacent or overconfident as they were thinking and engaged in a new game plan. If his team was less athletic than their opponent (he mentioned playing a Big Ten team like Iowa), they would work on being crisp and fast by slimming down the playbook and focusing on execution. This provided confidence to the team as they felt they could master what the game plan was and they would go into the game focusing on execution and instinct, rather than thinking about what was coming next. Learning: Staying fully engaged every week is important for a team and the coach should change the practice plan to keep the team engaged and primed for the upcoming game. I had the chance to hear from Coach Rhoads at an event just before his first season at ISU. He was working with his players and was clearly focused on building a program. I asked my usual question on preparation and he launched into the answer with the enthusiasm he shows in many situation (see his post-game speech that was viewed more than 150,000 times on YouTube here). His focus was on planning the schedule for his players minute by minute for the entire week. He said that with restrictions on practice time from the NCAA and the complications of students’ schedules, it was important to manage every minute to maximize their preparation. He talked about the complex schedule that had sections for offense, defense, special teams, position meetings and even where coaches should be at every point in time. This discipline allowed ISU to exceed expectations that first year and now has been in bowl games three of the first four seasons for Coach Rhoads. Learning: You never get back a wasted minute. Time is a precious commodity in preparation and planning is a key element in winning. The logistics of preparation are underestimated. 2007-08 was the magical season for Drake basketball. They were undefeated throughout much of the year and won the Missouri Valley post-season tournament. They lost a heartbreaking game to Western Kentucky on a last second shot. But during the season, Coach Davis (who was selected as the AP coach of the year that year) talked about this particular basketball team and the advanced basketball IQ of the team. He said time and time again that it was this particular team that allowed him to implement new offensive scheme, as well as wrinkles that kept opponents guessing. More importantly, they kept working hard, no matter what their record was and how many times they made SportsCenter (which is not a regular occurrence for a Drake basketball player). The Drake team was not the most athletic on the floor most nights. Most of the players weren't highly recruited but they were a team that thirsted for more. Their enthusiasm for learning never stopped. While they didn't take a magical Hoosiers-like ride through the NCAA tournament, they will be recognized as one of the best Drake teams of all time. Learning: An unquenchable desire for learning and improving can propel a team to greatness where the whole is certainly more than the sum of the parts. Coach Phelps replaced Coach Davis after the 2007-08 season. He was a well-regarded assistant coach from Arizona State and looked to take the underclassmen from the Davis team on to new heights. I had the opportunity to ask him “my question” shortly before the season started. As I reflect four years later, what strikes me is that most of his answers could have come from the movie Bull Durham, “We just need to get better as a team,” and “We continue to set our team goals and work hard to achieve them.” It struck me that there was no specific philosophy or program that was his at that point. It could have been an off-day, we certainly all have those. However, I would guess after four somewhat difficult years that Coach Phelps would probably answer the question differently today. Coach Phelps brought experience to the job as an assistant, but may not have brought "experiences" to his first head coaching job. I have always sought to distinguish between “experiences” and “experience.” Experiences are the learning events that create wisdom for future challenges. Experience can do this, but a repetitive role for many year doesn't always create the experiences that position a person to adapt to the challenges ahead. These past few seasons have certainly provided many experiences for Coach Phelps that likely have brought learning. Learning: The top job is appealing to those not there. Most times it is a lot harder than it looks. Wisdom isn't something you can read in a book (or a blog), but the sum of many experiences. I love asking "my question" to successful coaches. Most often the coach will pause reflectively as the question isn't about the latest opponent, offensive scheme or player controversy. Coaches are experts at their craft, which often goes beyond the Xs and Os. The best coaches are the difference between a team that is a perennial loser and one that begins to win. To be sure, talent matters. But preparation and how coaches approach practices, player development and each game can make the difference. I will continue to ask the question. In fact, someday I hope to spend a week or month with a team that is known for its preparation – maybe Nick Saban or Bill Belichick and the New England Patriots or Kirk Ferenz and the Iowa Hawkeyes (even as they are coming off a down year). I believe the focus on preparation is key to their success. The approaches of these successful coaches are all slightly different, but there is one commonality – they know exactly what THEY must do to prepare for the upcoming game. That focus radiates to the entire team and in the end facilitates their success.